March was another tough month for HTC as the struggling smartphone manufacturer reported revenue of $127.57 million for the 31 days. That was a whopping 79.3% decline year-over-year. On a sequential basis, the drop in revenue was 1.34% from February's number. During the first three months of the year, HTC's revenue added up to $457.2 million, a drop of 64.31% from the same time period last year. HTC will soon be unveiling its new flagship phone, the HTC 10. Based on a series of teasers, HTC says that this handset will offer the best camera ever found on a smartphone, and feature "flawless high-fidelity" audio. 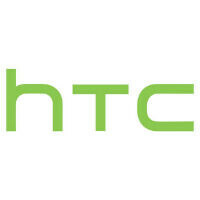 HTC plans to unveil the phone on April 12th. Meanwhile, the company's VR headset, the HTC Vive started shipping this week. HTC has high hopes for the device, which sold $12 million worth of product in the first ten minutes that pre-orders were taken. The Vive should have a positive impact on April's revenue, with the HTC 10 playing a major role on the revenue reported for May. If the idiots at HTC only release a 32GB model HTC10 then their sales will be history this quarter. People would buy the Samsung Galaxy S7/Edge or LG G5 instead. There would not be much of a better reason to buy the HTC 10 when the internal specs match the S7 or G5 when they offer better screens. Since the S7 was rated as the best phone why would they want to risk buying something that may not be the best smartphone. HTC Needs a better camera,more internal space,louder speakers,Dual Sim Capabilities,and a better screen otherwise they are screwed. They need to release something better and for some reason I doubt they could beat Samsung in releasing something better. Agreed, they should release this with 64GB internal. But they probably won't to cut costs. stocks are always low prior to a major announcement. I am rooting for them and for their sake I hope they live up to all the hype they have been generating so far. The camera and it's software need to be on par or better then the Nexus P6, LG5, LG4, S7 or even S6. Their trademark Boom sound speakers need to be there but in a sleeker fashion and less bezel. Of course their light and wonderful sense skin needs to improve on the smoothness found on the M7 and M8. I am sure HtC can do this I just hope they have. I really really feel sorry for HTC. Had Desire HD (wow, just WOW! ), Wildfire (nice small entry phone), One M8 - all of them great phones, especially the feel of M8. I have always put up with the pathetic cameras just because of design and feel. But this misunderstanding - HTC 10 - with the ugly physical home button on front bottom - just lost me. I imagine having to click it and risking to flip my phone because of its position. "Tap, tap, tap, CLICK, tap, tap, CLICK" - already feel sick. Thanks, but I now see why HTC's going down - they took away my favourite IR controller app, they never had anything near decent camera, now they go to physical buttons. Thinking of Samsung - they have Edge; LG have interesting buttons and look (leather), Oppo/Huawei bet on "cheap with features". HTC had only design and now it's turning to copycat. For a struggling company, they sure price their devices at a premium price.